Since 2008, Christ the King has provided students with a safe and academically rigorous college-prep education through a thriving and economically sustainable educational model—The Corporate Work Study Program (CWSP). 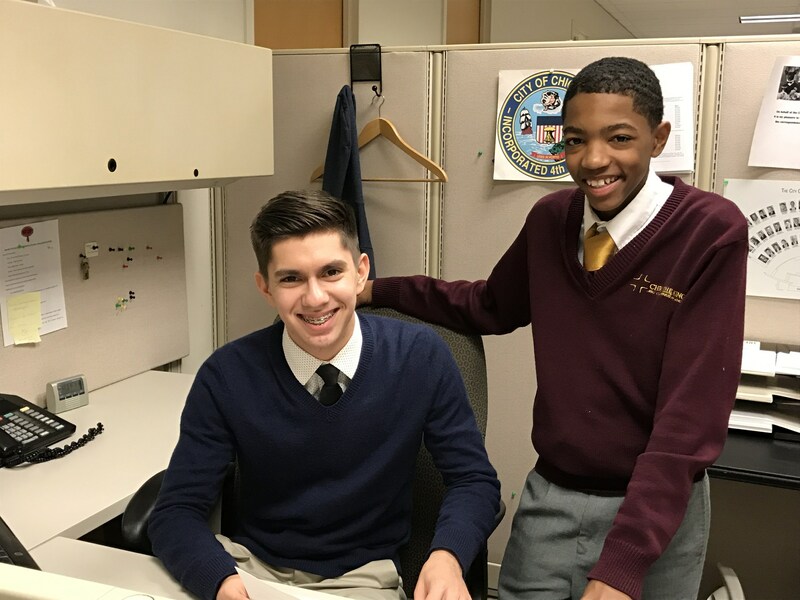 More than 200 civically-engaged businesses of all sizes and industries throughout the Chicago region hire our talented students, who serve as reliable, productive, and cost-effective employees. The CWSP is a shared program of Christ the King Jesuit and Cristo Rey Jesuit. 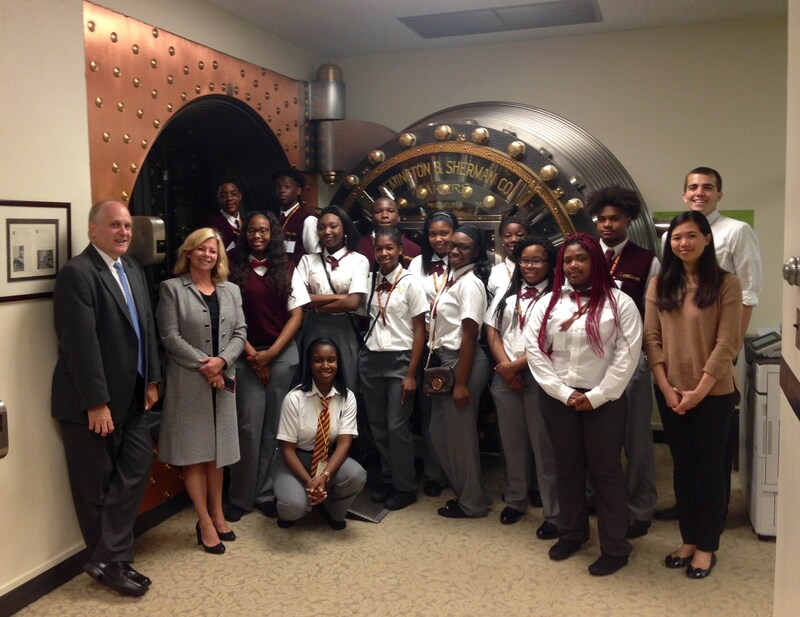 These two high schools exclusively serve students and families with limited economic resources in Chicago’s Austin and Pilsen neighborhoods. Via the CWSP, students earn about 65% of their tuition, making the dream of a safe, affordable, faith-based, quality college prep education a reality. With your support of the CWSP, students are able to provide you with a job well done, while gaining valuable work experience and cultivating a strong network of professional relationships that will benefit them for a lifetime. And the benefits are mutual. Our job partners report having students in their offices gives them a boost, too. Most job partners deepen their relationship with Christ the King by visiting the school, attending and sponsoring our special events, volunteering with CWSP, and mentoring our students at the office. We welcome your involvement and interest in Christ the King. Quite simply, the school would not exist without you. We are incredibly grateful for your support of the CWSP. On behalf of our hard-working students and their families, thank you for providing them this opportunity. Download the complete Corporate Work Study Program Brochure here!